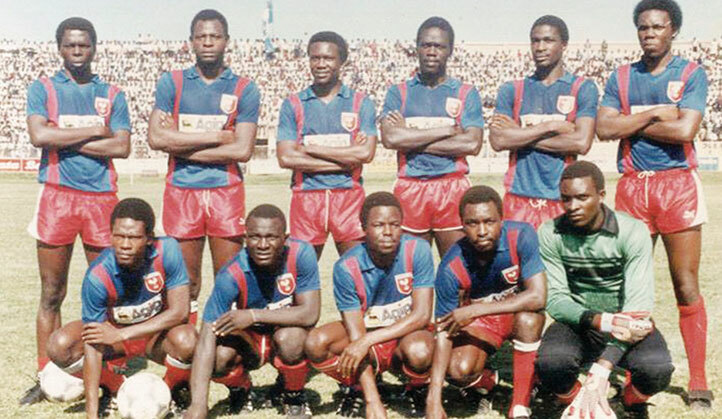 SC Villa double-winning squad of 1986 dominates their all-time best XI: Back row (L-R): Sula Kato Paul Hasule, Rogers Nsubuga, George Otto, Yusuf Sonko and Godfrey Kateregga. Front row (L-R): Geoffrey Higenyi, Magid Musisi, Twaha Kivumbi, Sam Mubiru and Eddie Nassamba. UAH photo. FOOTBALL. Former SC Villa and Cranes winger Sula Kato was Monday morning admitted to Mengo Hospital in critical condition. According to his son Ismail Muwonge, Kato suffered a stroke last week before his condition deteriorated until he was moved to Mengo on Monday morning. “He had gone to visit relatives in Masaka when he suffered the stroke,” Muwonge revealed in a phone conversation. “He is currently in intensive care unit and we need all the prayers we can get,” he added. 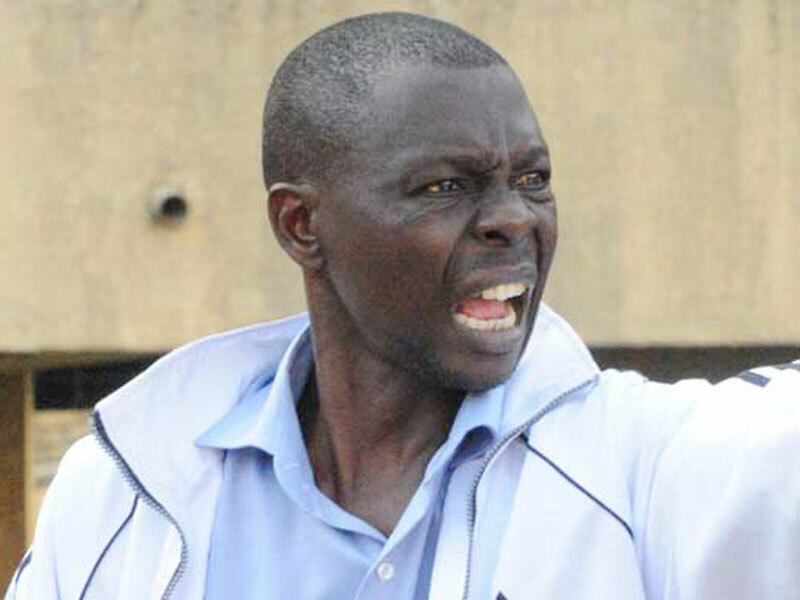 Kato shouts instructions from the technical bench in Namboole during a league game. Kato has been on the books of topflight league club Soana for the last two years as part of their coaching staff that is currently headed by Alex Isabirye. “On a sad note, ex international Sula Kato was early this morning admitted to Kirudu Hospital in critical condition. However, FUFA has facilitated his transfer to Mengo Hospital,” National Teams Officer Patrick Ntege posted on Facebook. He joined the club in 1984 replacing elder brother Moses Ndawula, who had switched to archrivals Express. The Masaka-born left winger, who was known for his accurate deliveries and lively runs down the flanks, won his first league title with the Joogos in 1984 before going on to star seven more league titles with the club until 1994. He went on to score some memorable goals most notably the winner against Express in a Kakungulu Cup (now Uganda Cup) semifinal. He also scored the lone goal against Sudan’s El Merreikh that gave Villa its first ever Cecafa Club Championship trophy in 1987. His almost telepathic understanding with another Villa great Majid Musisi led to several goals with for both club and country with the winger. 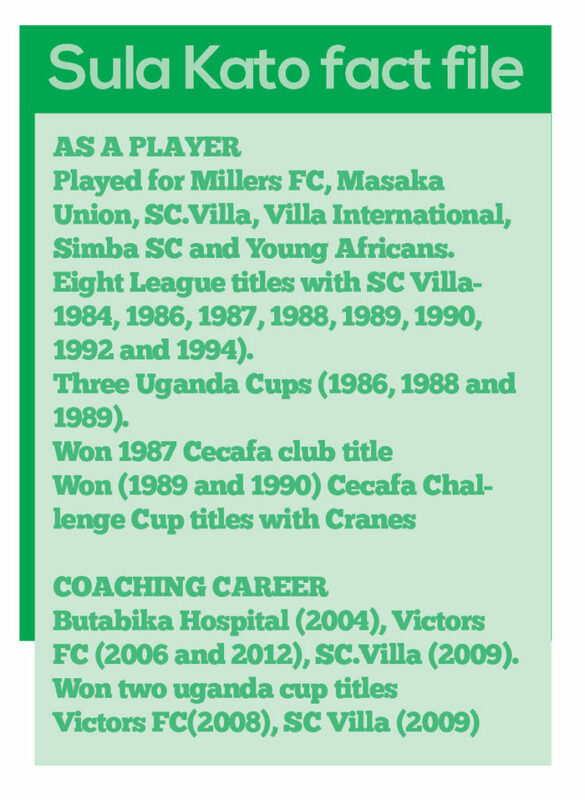 He scored once and created two assists for Musisi in Cranes’ 3-1 win against Zimbabwe in 1988.